Oh happy day! I'm Tanya from Crafting on Caffeine and I'm so excited to be guest here today! 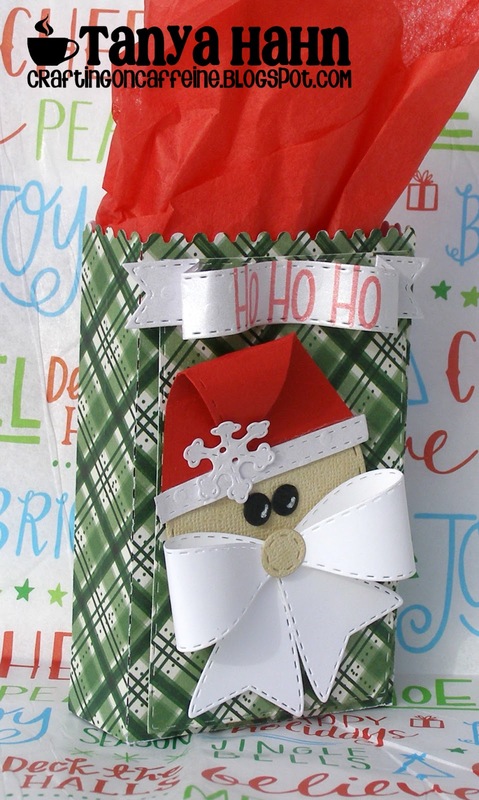 I created a couple gift bags to show you. I used all Jaded Blossom dies to create them! For both I got my inspiration from Pinterest! Thank you for checking out my projects today-Tanya! So cute! Love how you used the bows! Awesome! Tanya these are seriously the cutest things ever, I love how you used all dies to create this.. I am totally going to try and scraplift this as I own a good majority of the JB Dies you used..
Oh Tanya...this are so fun! Great job! Tanya, I just love this. Awesome way to use the bow!! Oh man, oh man..now I must get these bows! So super cute! LOVE the bow for Santa's mustache~So creative! How adorable. What an awesome idea using bows like you did. I <3 it!!! 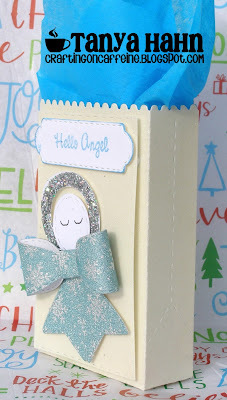 Love how you used the bow dies. These turned out SUPER STINKING CUTE!!!! Love it!! !